The Project was designed by Haworth Tompkins and installed by Gilbert Ash. Quietspray ceiling system was specified from the start to be the key ceiling feature in the main dining rooms. The chosen colour was red as seen in the picture. Quietstone supplied and installed the Ceiling system and completed the installation over a period of 3 weeks. The acoustics were greatly improved and the final look is magnificent. Everyman Theatre won the RIBA Sterling Prize award in 2014 for the being the best new building of the year. Quietspray acoustic system was installed into the main reception/bar area where a large number of people congregate before going into the theatre room. Our seamless ceiling system absorbs sound and high levels of conversation which increases speech intelligibility. 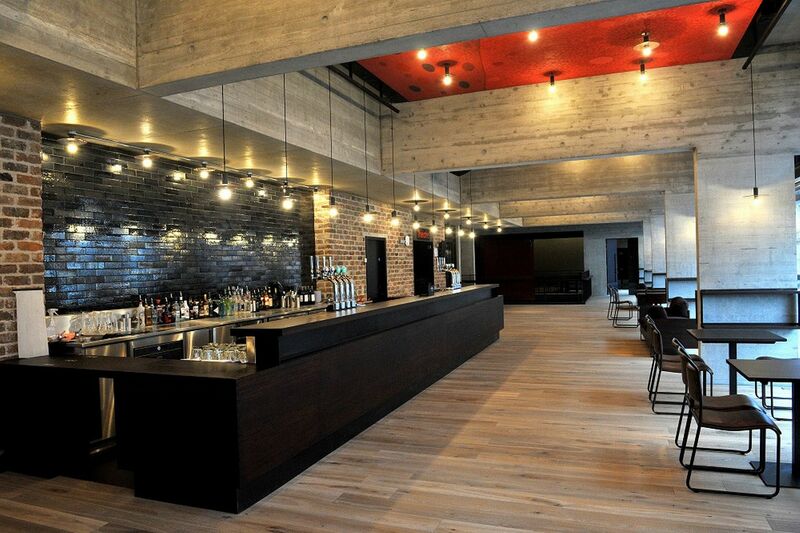 The architect specified Quietspray system with our red acoustic plaster. Then an independent artist came in and lightly painted over some areas of the plaster according to the architects design. This can be seen in the professional photograph which was taken when the project was completed.